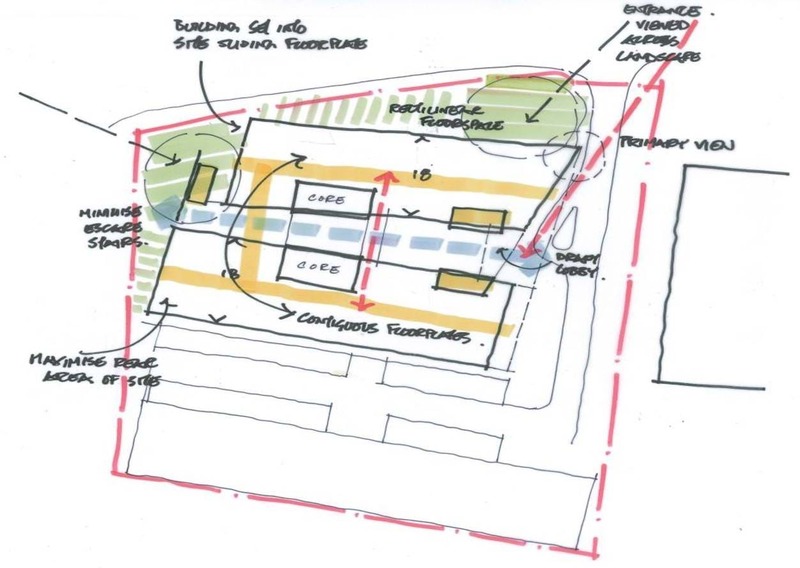 We were challenged to design a contemporary, flexible office building on a confined, flood zone 3 site. One that would meet the needs of the incumbent tenant, yet also provide a commercially viable, institutionally fundable building for the landlord client. 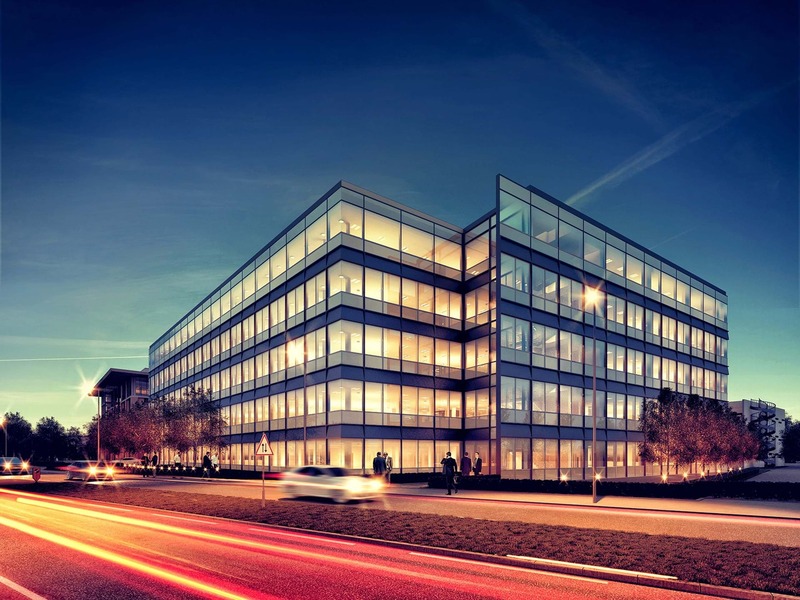 Occupied by Gartner as their European Headquarters, we needed to provide a clear identity which would help attract (and retain) top talent from central London. Our design needed to be architecturally exciting yet attractive to a contractor, in what was a heated market. By using flexible, simply divisible floorplates that surround a large central atrium with interlinking bridges, we could future-proof the building for multi-tenants whilst also animating the atrium space and providing opportunities for chance interactions. 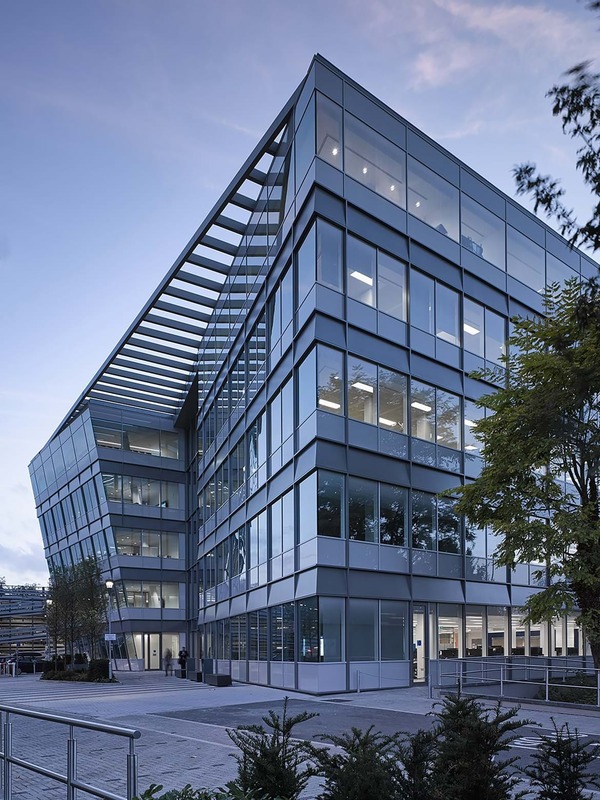 The headquarters building not only recognises the desire to provide a strong formalistic approach to its setting, but also provides a highly efficient, flexible building that incorporates state-of-the art facilities for this leading technology research company. 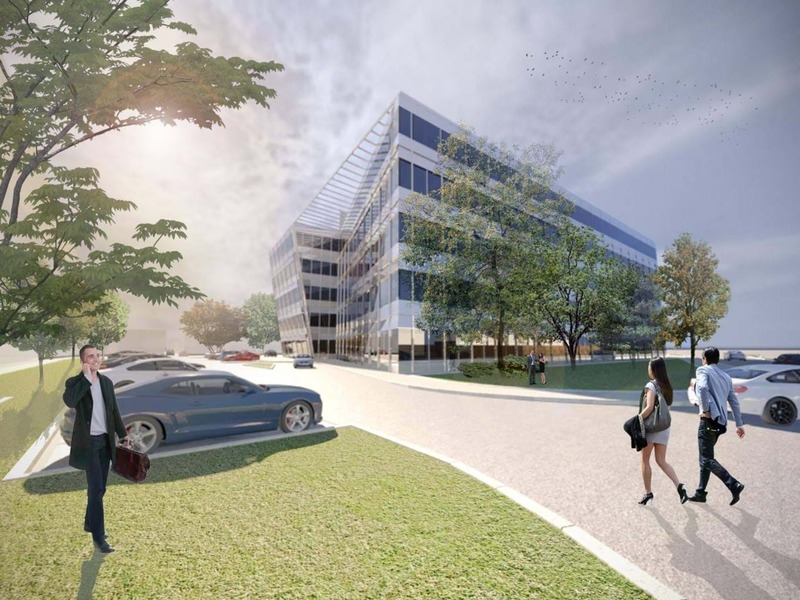 "The project is a successful example of true collaboration between the architectural and interior design teams at Scott Brownrigg, the developers, RLAM, Gartner and the project delivery team." 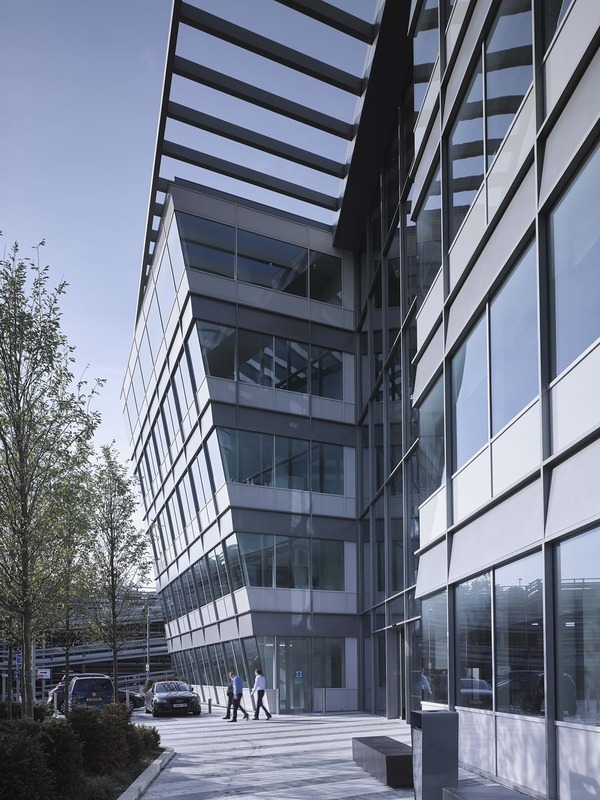 By sloping the façade and using angled brise-soleil, we were able to mark the entrance, maximise the floor space and provide a suitable feature to the headquarters building. We raised the building above the ground to allow flood waters onto the site without interrupting its use.